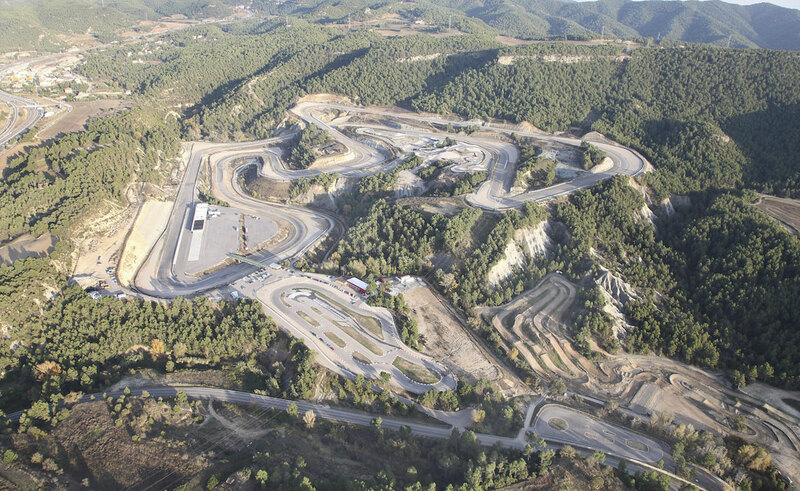 With a length of 4,005 m and width on the straight of 14 m and 12 m around the rest of the track, it has become one of the international benchmarks, with a layout laying claim to praise from the best riders and drivers, and design affording excellent visibility from all areas. The facilities are fully equipped and also feature different complementary driving tracks, off-road routes, Karting circuit, numerous meeting rooms, restaurant, medical centre, etc. It will be difficult to find a better venue, however many attendees there are. With capacity to cater for groups of up to 200 people at the same time, or catering services for groups of up to 1000 people in areas made ready for this purpose. There is a buffet service or a wide selection of a la carte menus to adapt to the needs of each event in a fully personalised way. With a total surface area of 55,000 m2 (equivalent to eight football pitches), this facility is designed to withstand vehicles weighing up to 40 tonnes. There are surfaces with different levels of grip where testing can take place, with areas of higher grip (asphalt with bitumen modified with rubber) to skid areas with polished concrete surfaces, with the possibility of wetting most of these areas. 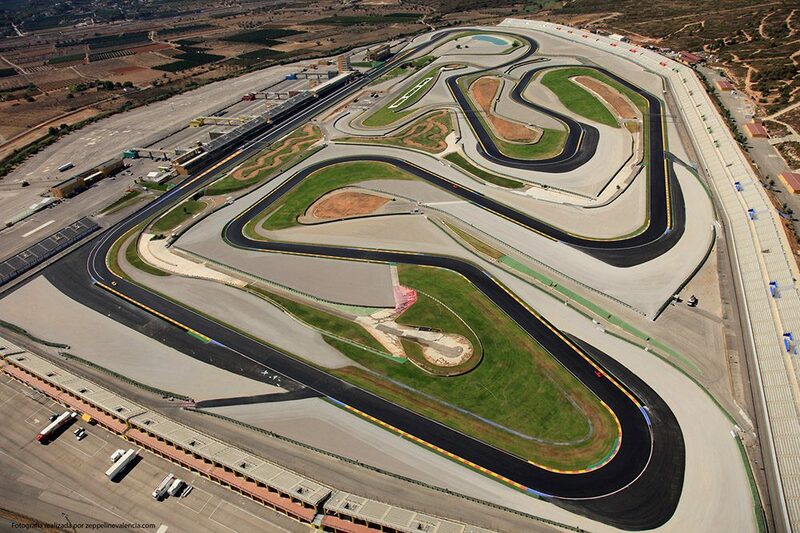 In this area our “Replica” circuit is found, which is a scaled down version of the Grand Prix track. It is 8 m wide and the main straight covers a distance of 230 m, with the complete length approaching 1 km and can be extended to reach almost two kilometres if we join it to the rest of the tracks. Owing to the design, variety and size of the facilities, it is possible to work simultaneously in different areas, meaning we can have up to 6 work bases at the same time. 25 m Marquees which are strategically positioned next to the activity zones. 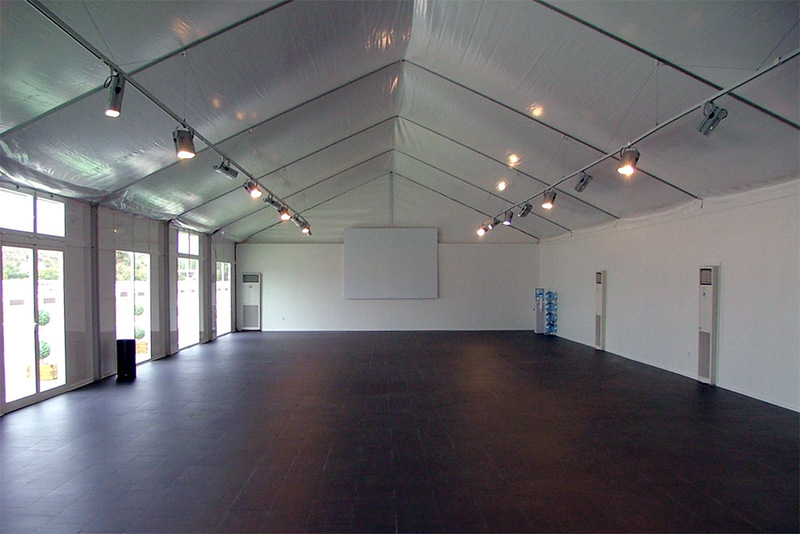 3 x 80m2 modular rooms that can be converted in 1 x 160 m2 rooms + 1 x 80 m2 room, and even one single room of 240 m2. 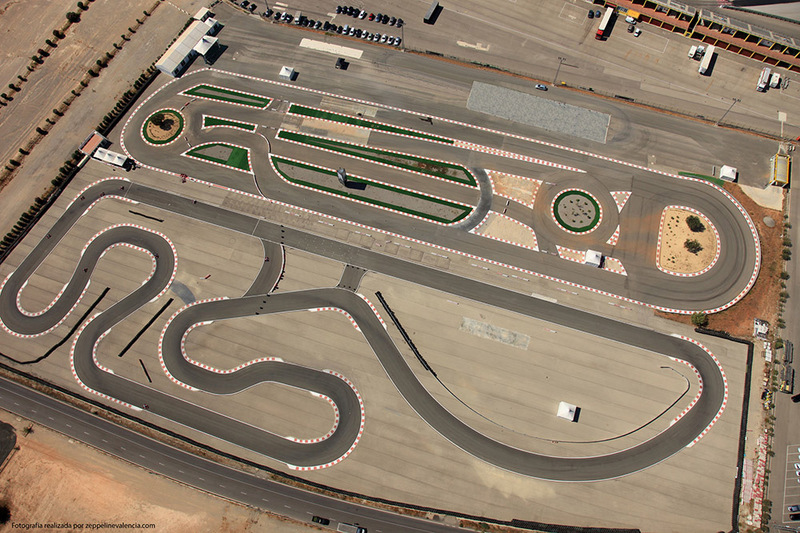 Each of them are sound-proofed, equipped with video projectors and are located just 80 m from the asphalt driving track. This room (within the asphalt driving track) covers a surface area of 325 m2, fully open with a covered outdoor terrace of 100 m2. 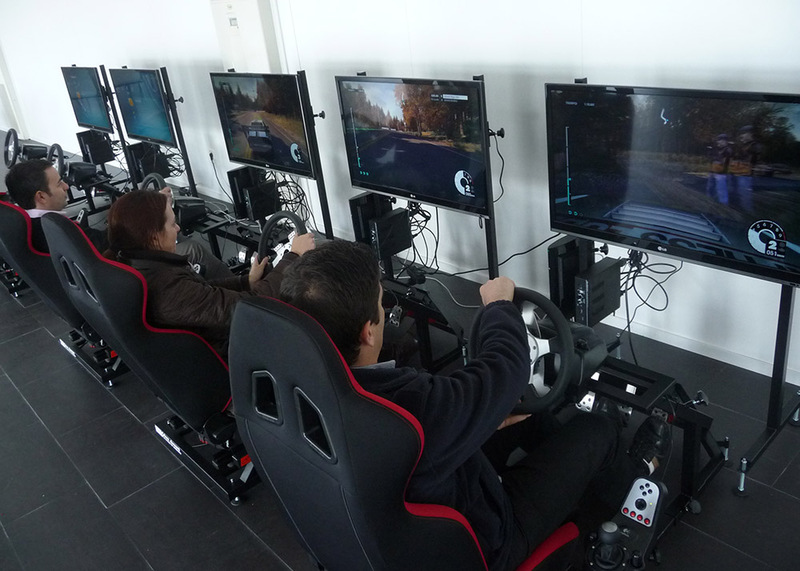 It is located inside our driving school track and has wonderful views of the test track through the windows. Inside it is fully equipped, including a powerful climate control system, Finnish wood walls, large size projection screen, “rosewood” ceramic floor and directional lighting equipment. Because of its features, it is suitable for different uses, such as vehicle displays, product presentations and even as a catering room. If additional rooms are required, we are able to offer 10 different layouts in the VIP CLUB lounges, exclusive areas in the control tower and even the Circuit media centre. Next to our classrooms the school has a number of adjoining Boxes, covering a total surface area of 240 m2, fitted with industrial electrical installation and compressed air. 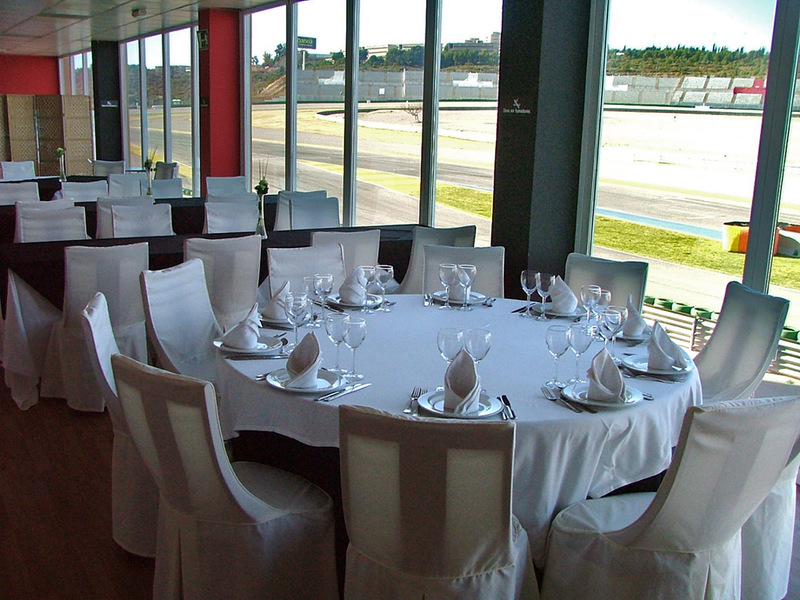 In addition to our own exclusive facilities, we also have the possibility of using the rest of the Ricardo Tormo Circuit facilities, such as the Grand Prix track, the hospital, VIP marquees, VIP lounges or suites, restaurant, paddock, garage boxes, etc. La zona TODOTERRENO del Parcmotor consta del circuito de motocross de 1,5km, pista dura de tierra de 800mts, zona de montaña con diferentes obstáculos y dificultades, zona de trial, etc. un marco idóneo para llevar a cabo la práctica off road para coches y motos. 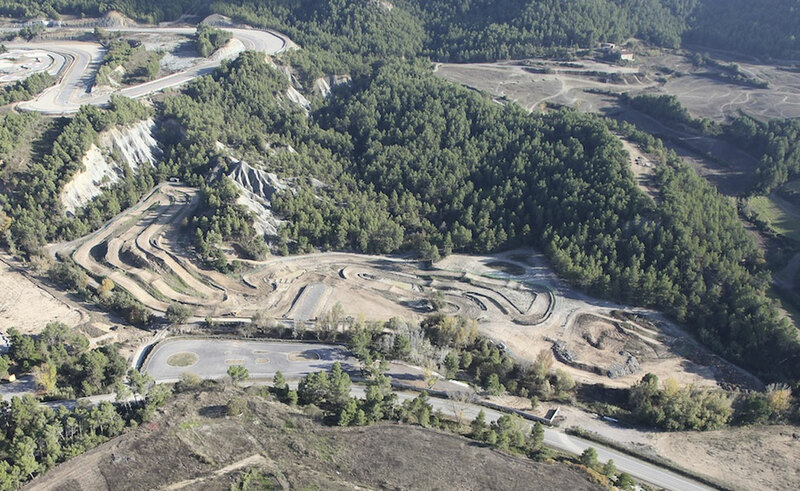 Designed in an entirely natural environment within the Ricardo Tormo Circuit facilities (which permits making the most of the infrastructures) we have a wonderful off-road track covering a surface area over 100,000 m2. With routes covering almost 5 km, we can find different degrees of difficulty, and we can consequently work with all types of vehicles (from SUVs to heavy goods vehicles), since there are always alternative routes. 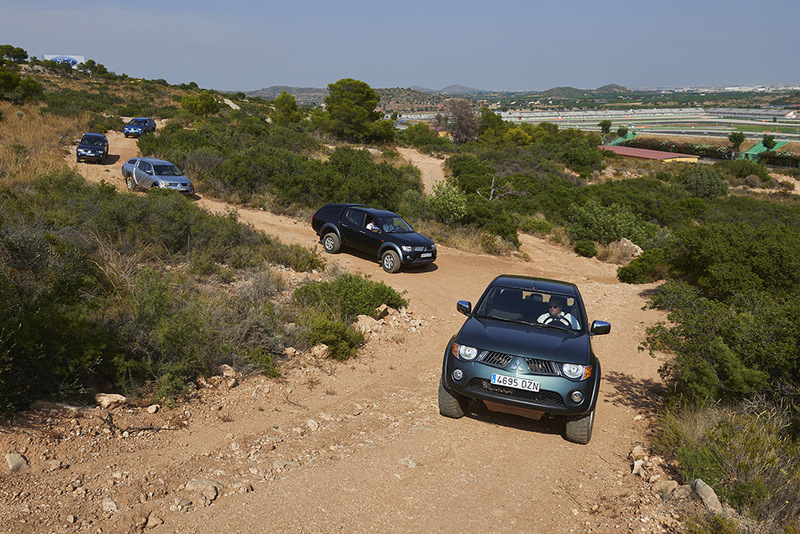 The terrain (hillside with native vegetation) means that most of the obstacles such as dubbies, rocky areas, wading, climbs, lateral slopes and ramps up to 70% are completely natural, making this facility a wonderful area for training drivers or for any other kind of product test. 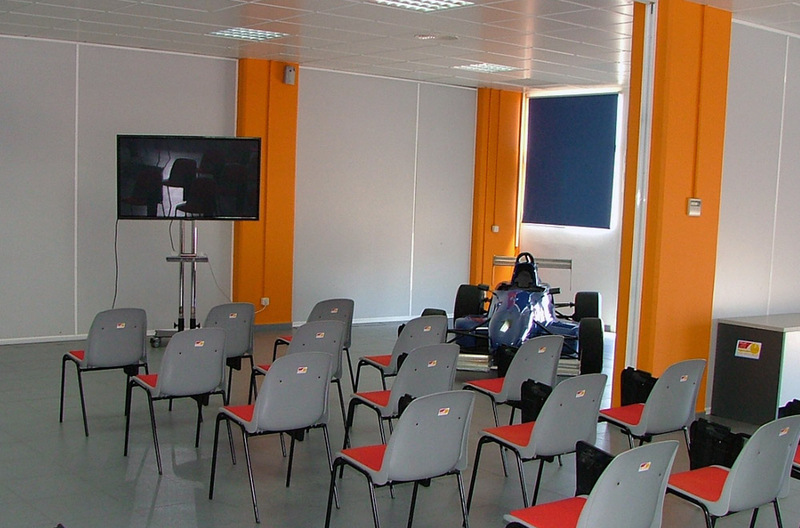 The FAST PARCMOTOR DRIVING SCHOOL which is located in the PARCMOTOR complex in Barcelona, is another facility belonging to the FAST group. It has a one kilometre track that can be wetted throughout and 7,000 m2 of additional skid platform for driving courses, presentations and events for all kinds of vehicles and for all levels of skill and people. Likewise, the centre has all the complementary services (rooms, classrooms, roll simulator, car park, etc. We also have our own fleet of last generation SEAT vehicles, and our own fleet of KAWASAKI motorcycles for courses.